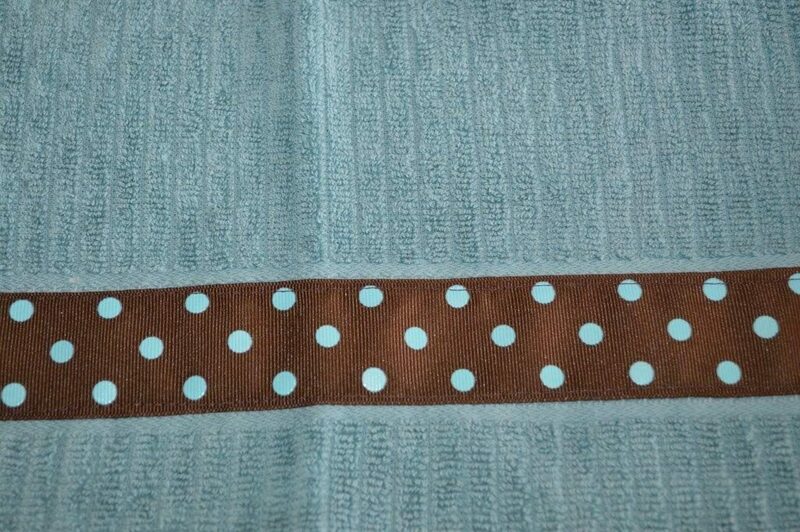 These towels are perfect to make for yourself or others. You can make them if you sew OR if you do NOT! Really, I promise, even if you don’t want to thread a needle, you can make these! 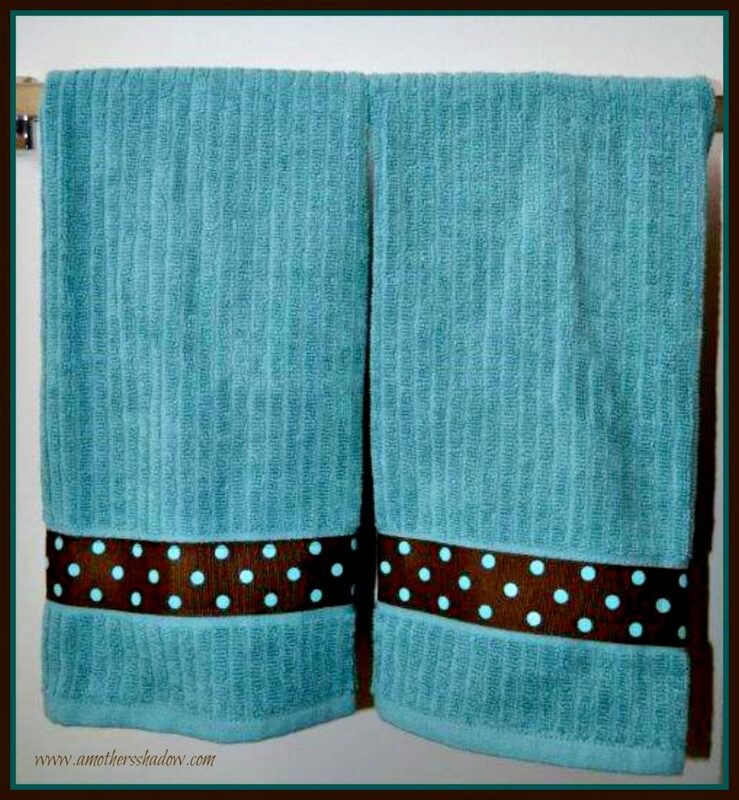 These very easy and practical towels can be made from kitchen or hand towels. To personalize them, use ribbon to match the receivers kitchen, wedding colors, school colors for the graduate, or in any color scheme you desire. I have two methods for you, a no-sew and a simple sew! The towel on the left is sewn, the towel on the right has fabric glue to attach the ribbon. 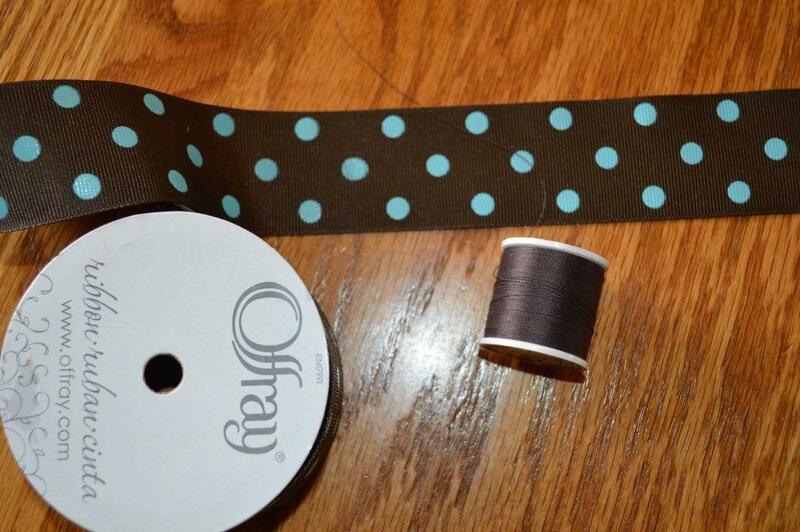 To match the thread to the ribbon, undo the thread from the slit at the top of the spool and lay it out on the ribbon. 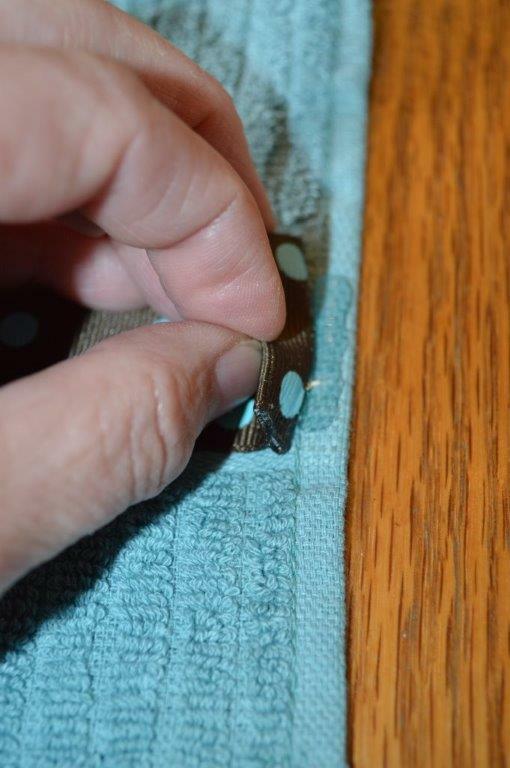 Stores are just fine with you doing this; just be sure to hook it back in the slit if you do not choose to purchase that particular thread color. 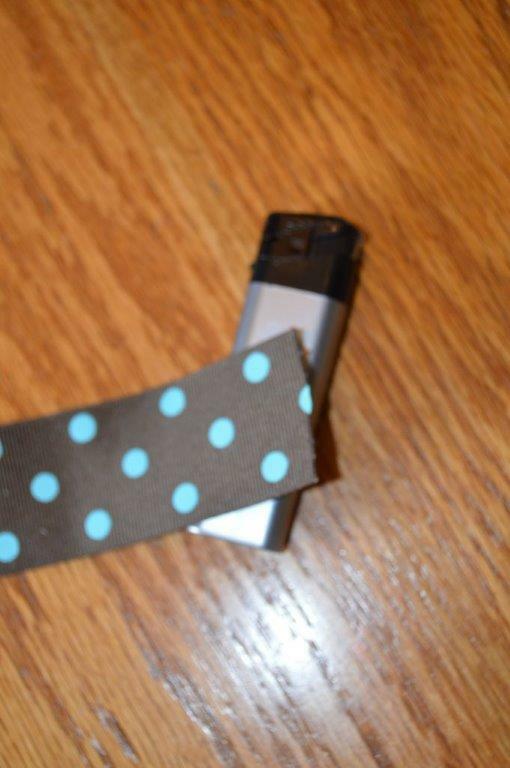 Whether you choose to sew or glue the ribbon down, use a lighter or matches to singe the edges of the ribbon to prevent raveling after washes. 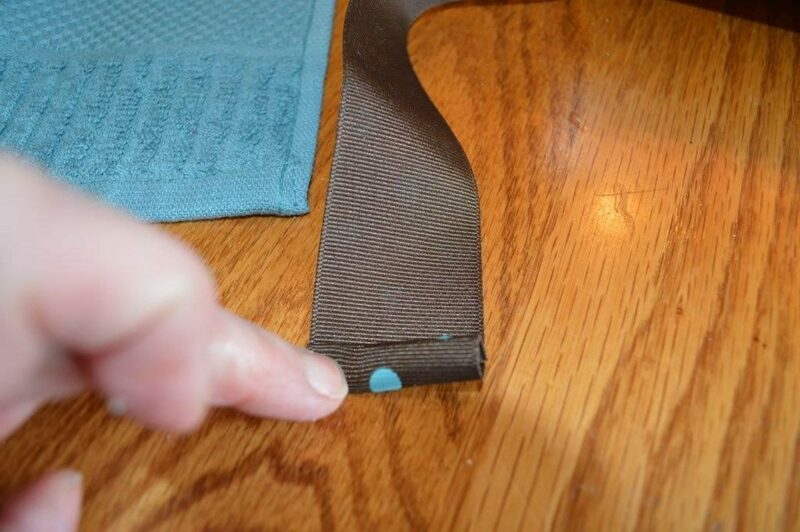 Squeeze a line of the fabric glue across the end of the ribbon. 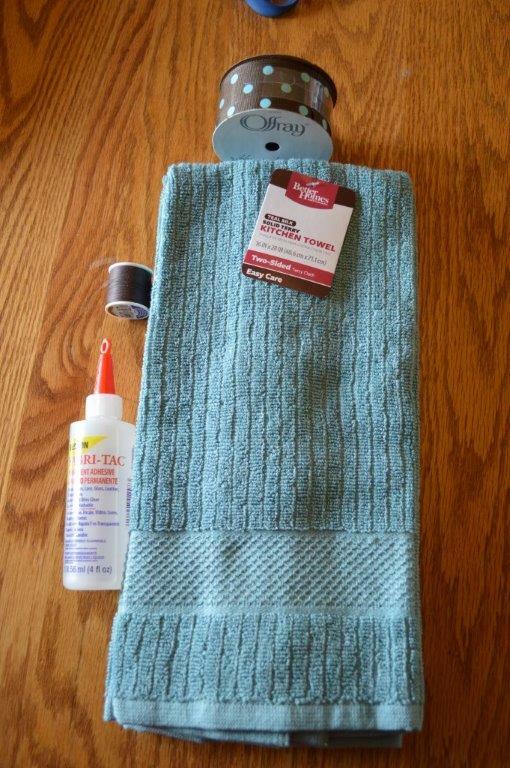 Squeeze a bit of the fabric glue onto the towel where the ribbon will attach on the edge of the towel. 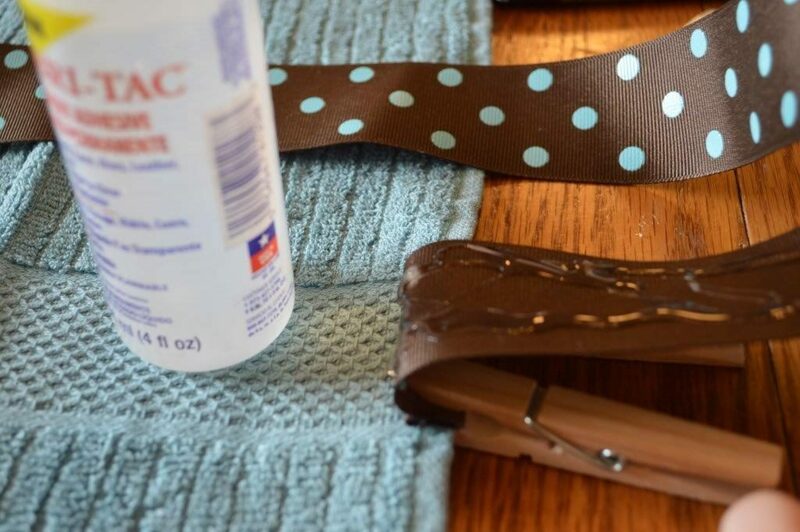 Use 2 clothespins on each side of the ribbon to hold in place. 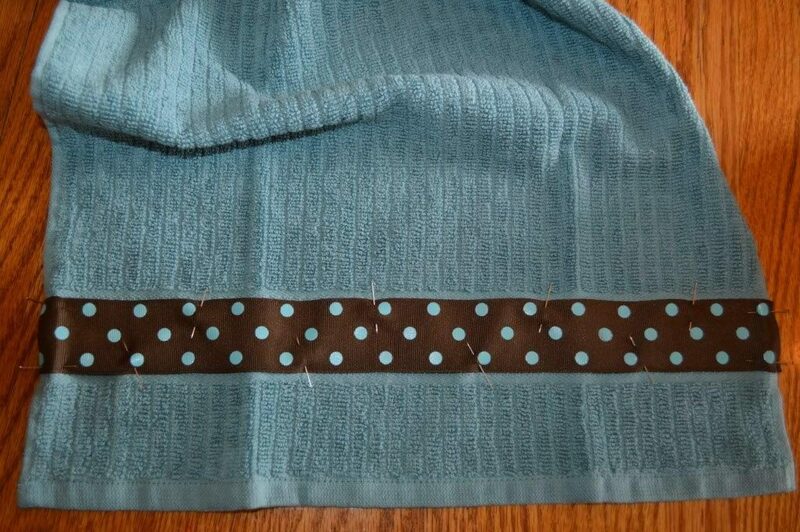 Squeeze the fabric glue on the edges of the ribbon and place on towel. Do this the length of the towel. 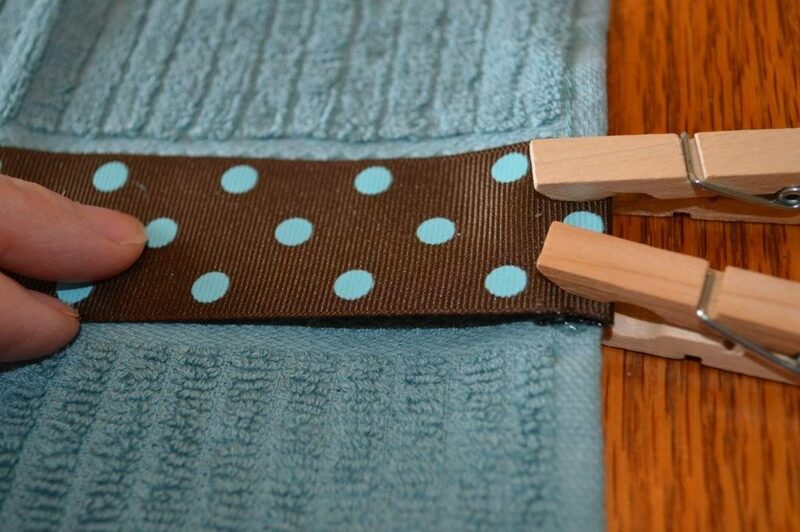 Attach clothespins at other end of towel. 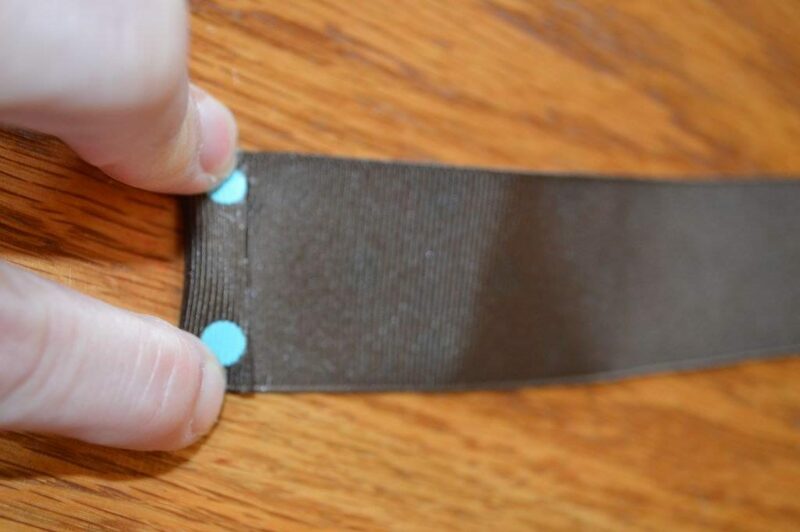 Leave these in place until the glue is completely dried. When completely dry, take off clothespins and there you have a personalized gift towel! 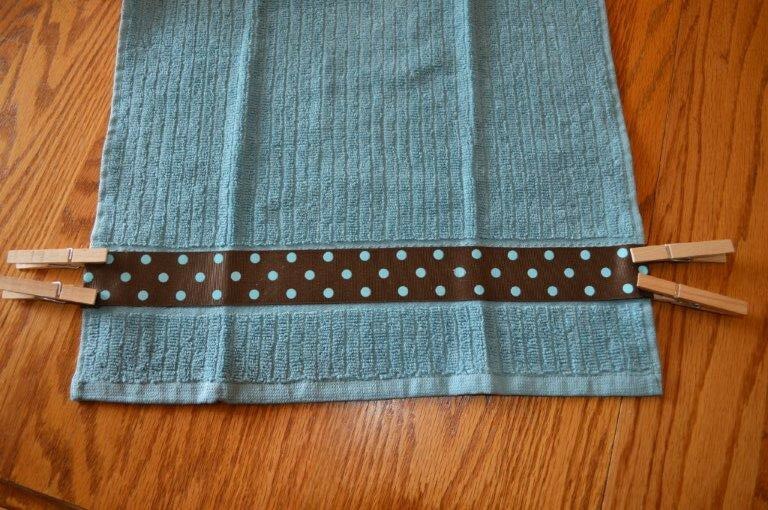 Pin the ribbon onto the towel. Stitch with a 1/2″ seam or right alongside the presser foot. 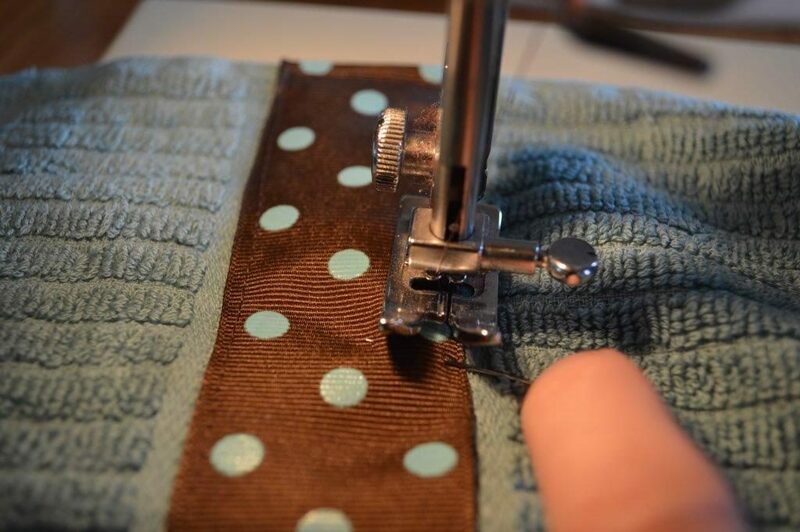 Be sure to stop stitching and take out pins as you sew. 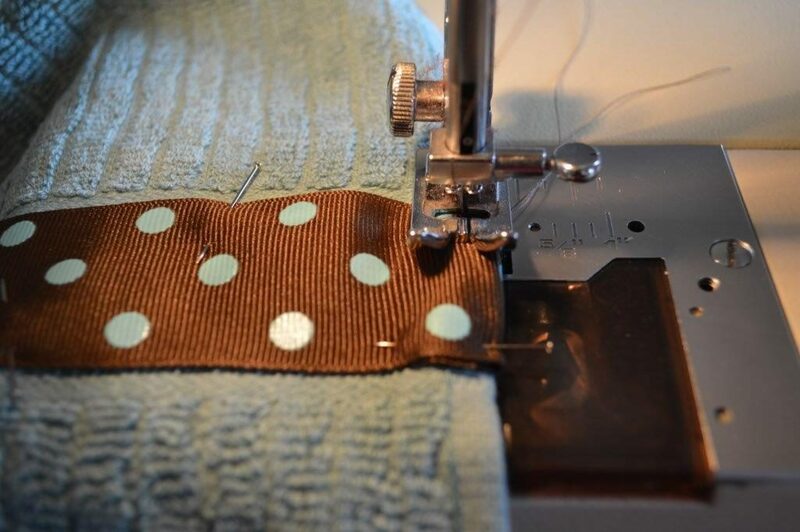 Do not sew over a pin for safety reasons. Trim the threads and there you have a personalized towel! 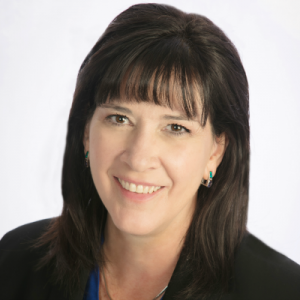 An inexpensive, easy and thoughtful gift for the new bride, for the graduate, mother’s day – anyone would appreciate this gift. Recognize a blessing and be a blessing today.